For 25 years Eurosport has effectively owned the pan-European sports television market. Its live, uninterrupted coverage of everything from World Cups to Grand Slams has helped it carve out a unique broadcasting niche. 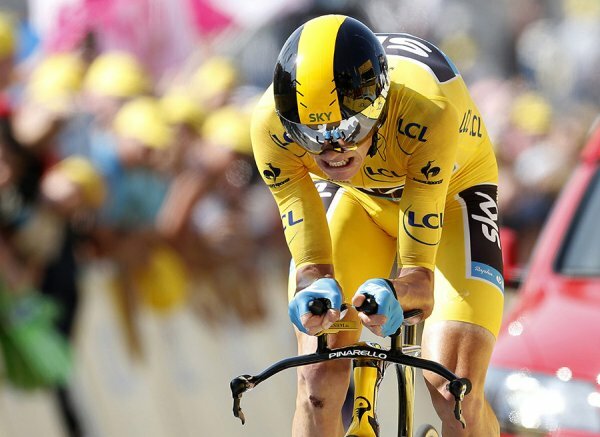 The low-cost and basic production style of Eurosport’s output – like its Tour de France coverage – offers viewers a continuous live feed and audio commentary in many different languages, largely produced from its Paris headquarters. This basic style can make for compelling viewing; the 2013 Tour de France ratings were up 12.5% on 2012, as 53 million viewers across Europe tuned in during the three-week race. Indeed, Eurosport’s formula for covering live sports in 2014 doesn’t look that different from when the channel launched in 1989 as a joint venture between the European Broadcasting Union (EBU) and the newly launched Sky Television. The phrase, “If it ain’t broke, don’t fix it”, comes to mind. Eurosport achieved record breaking ratings for the 2014 French Open, the best ever on the channel, attracting an average live audience of 1.36 million European viewers, a rise of 17% year on year. But Eurosport looks set for far-­reaching change under its new majority owner, Discovery Communications, which first bought into the sports channel in 2012 and increased its stake to 51% in May. For Discovery, the world’s leading factual broadcaster, to acquire control of a pan-European live sports channel – bought from French broadcaster TF1 for a cool €423m – represents a radical break with the past. Live sport is a very different business to Discovery’s bread and butter of documentaries, science, lifestyle and factual-entertainment shows. But Discovery insists that Eurosport is the “ultimate in factual TV”. It says that adding the sports broadcaster to its fast-growing international portfolio will not only lead to growth for Eurosport, but also help Discovery broaden its business base. As audiences increasingly move towards multi-platform and non-linear TV viewing, having a live sports channel could help Discovery remain relevant to audiences, distributors and advertisers. “This will not be your grandfather’s Eurosport,” says JB Perrette, the new President of Discovery Networks International, who moved to London this month. “Did we buy it to just retain the status quo? No. Discovery sounds willing to invest significant sums to acquire the rights needed to take Eurosport to the next level. To gauge the scale of Discovery’s ambitions, look no further than the recent bidding for top-tier Italian football. Eurosport was reportedly a surprise bidder for Serie A against Mediaset, FIC and Sky Italia; Sky and Mediaset won the rights. Reports suggest that John Malone, a Discovery Executive Board member and a big shareholder in Discovery, is considering buying into Formula 1. This could have repercussions for Eurosport. The Eurosport purchase pitches Discovery into the intensifying competition for sports rights. Its rivals include traditional pay-TV platforms, such as BSkyB in the UK and Canal+ in France, as well as ESPN and newer entrants led by 21st Century Fox’s pay-TV broadcaster, Fox International Channels (FIC), and Al-Jazeera, which operates the beIN sports channels. Discovery had originally planned to increase its stake in Eurosoport from 20% to 51% in December 2014, but it completed the purchase six months ahead of schedule, presumably to consolidate its competitive position all the sooner. As chance would have it, the unpredictability of live sport recently gave Discovery an early indication of how the Eurosport bet might play out. In early June, on the final day of one of tennis’s grand slam events, the French Open, the US broadcaster saw an opportunity. Spaniard Rafael Nadal was a finalist once again. This invoked a clause in the contract, which stipulated that Spanish viewers must be able to see the match on a free-to-air channel. Eurosport had the rights for Spain and was already airing the tennis tournament on pay-TV services there. Discovery’s Spanish office had an idea: why not show the match simultaneously on Discovery’s free-to-air Spanish network, Discovery Max? As Nadal battled it out with Novak Djokovic in Paris, Discovery Max screened its first-ever live sports event and enjoyed its best-ever ratings: 2.1 million people tuned in, rising to 2.6 million during the post-match interview. The audience share was even more impressive; 15.8% for the match and 21.8% when Nadal was speaking afterwards – a more than seven-fold increase on Max’s average share. There are potentially other benefits, too. Eurosport has always sold its advertising on a pan-European basis, but Discovery plans to plug Eurosport into its local sales offices. The idea is to ramp up localised versions of Eursoport across its footprint of 54 countries, using the model developed in the UK by British Eurosport. In Asia, where Eurosport reaches 16 countries, the plan is to combine both distribution and ad sales efforts with the much larger Discovery portfolio of channels. “In a world where audiences are more fragmented, sport is one of the few areas left where watching live is important – and that’s important to advertisers because live TV attracts mass audiences,” says Andrew Johnston, Director of TV at Arena, part of the Havas Global Network. “In the melee that is the UK ad market, we are all seeking something that stands out, and Eurosport has a specific audience, even though it doesn’t have the scale of some of its rival sports channels from Sky and BT,” adds Johnston. In fact, Perrette’s boss, Discovery CEO David Zaslav, in a recent interview with The Guardian did not rule out a Euro­sport bid for English Premier League domestic rights. But one very big question mark over rights is Euro­sport’s future relationship with the EBU. Its members have privileged access to, and preferred rates for, EBU-owned sports rights. TF1 is an EBU member, but Discovery is not – at least, not yet. According to British-based trade publication TV Sports Markets, Eurosport’s future within the EBU may hinge on whether Discovery steers the sports broadcaster into competition with the consortium for sports rights. Given Discovery’s ambitions, this could put them on a collision course. Perrette says that Discovery looks forward to continuing to work with all its partners, including the EBU. He is also keen to leverage Euro­sport’s digital footprint. Eurosport.com is already Europe’s number-one online sports destination, with 23 million unique users a month, according to Comscore. “The online and digital elements of Eurosport are a big part of why we did the deal, because the data and information around sport is critical and we will continue to invest in that,” says Perrette. He adds: “Big franchises and big event programming are more and more important and valuable in an increasingly non-linear world. “That is part of the idea behind owning intellectual property, be it through our purchase of All3Media [in a joint bid with Liberty Global] or getting into sports, which is a driver of live viewing and of multi-platform consumption.